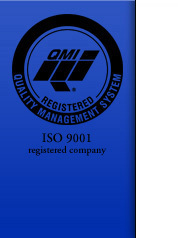 Maritime Stress practices total quality management techniques while working with its clients, as a team to ensure a quality product. Our goal is to provide high quality heat treatment services to our clients and serve them in a cooperative and professional manner. - Solution Annealing Stainless Steel. 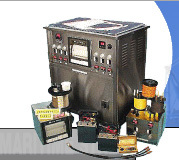 Pre-heat and Post Weld Heat Treatment Equipment Rentals. 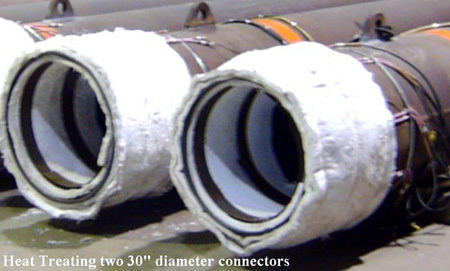 Pre-heat and post-weld heat treatment repairs on riser welds (up to 20" in diameter) for the West Navion (Smedvig) project, at Pier 9, Halifax, NS. 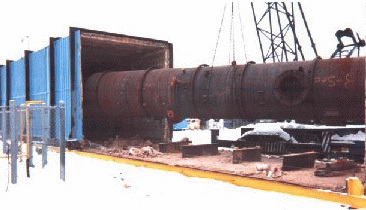 Maritime Stress erected a 35' x 35' x 45' temporary furnace to stress relieve sections of two coke drums. 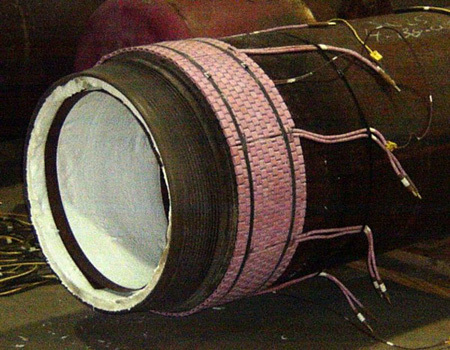 The picture shown at right, is one of the eight sections of the coke drums.